I finally caught up with this acclaimed British show (winner of 3 BAFTAs) and let me tell you… It was hell to avoid spoilers! I literally had to “shh” my screenwriter teacher at one point. You can understand my apprehension. After all, what’s a whodunit if you know who the killer is? So I promise, this post is completely SPOILER FREE. Broadchurch revolves around the murder of a young kid in a small seacoast town. A damaged detective (David Tennant) comes to town to investigate the murder and seek redemption for his past failings. The murder in a small town with the flawed detective is a great dramatic setting that just doesn’t get old. However, it’s hard to compare the tone of Broadchurch to other shows. It is not quite Twin Peaks [but then again NOTHING is Twin Peaks]. I’d say Broadchurch is more in the vein of shows like The Killing and Top of the Lake; but it has its own unique style and feel. And how about the mystery? Many said all the clues to figure it out were planted since the first episode. I’d probably make a terrible detective because I DID NOT see it coming at all! So, for me… it was a successful mystery-murder. The cast was brilliant. Some familiar faces for international audiences include David Tennant (Doctor Who) and David Bradley (Game of Thrones, The Stain). David Tennant was brilliant in the role of a tortured police officer with a dubious past and David Bradley had one of the best arcs of the entire show. I felt all the other characters were perfectly cast too. I especially loved the leading lady, Olivia Colman who had a great balance of warmth and determination. As you might know by now, this show is getting an American re-vamp this coming fall. The new producers obviously liked the original so much; they couldn’t conceive it without David Tennant. So he is more or less replaying his role [with an “American” accent]. The female lead will go to Anna Gun from Breaking Bad and, although I think she is a great actress and incredible for certain roles, I don’t know about this one… I think it will be hard to fill Olivia’s shoes. But I may change my mind. I made it a point to watch Broadchurch before Gracepoint premiered. I still have very strong feelings against unnecessary remakes [if it ain’t broke….]. 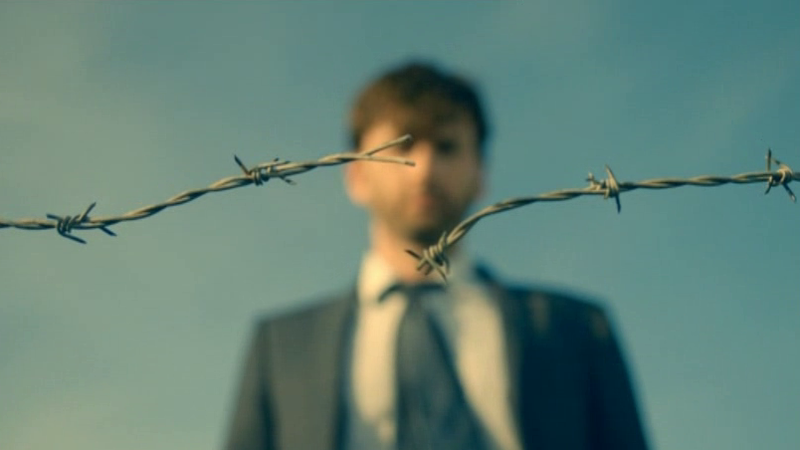 Having said that… I’ll watch Gracepoint… and who knows? Maybe I’ll even love it. However, I always think I owe it to the creators of the original to watch it. And yes, Broadchurch, is absolutely worth watching. My only complaint about the show is that it is VERY depressing. It’s not a happy show. I went to a comedy workshop a few months ago, and the writer (English) made a comment about how she wouldn’t consider Breaking Bad a true “drama” because it has a lot of humour. Then she [half-jokingly] stated that “American dramas are allowed to be funny in a way British dramas aren’t”. I don’t think that applies to everything [Sherlock and Utopia have lots of funny moments e.g. ]; but I have noticed that most British dramas tend to be very… well dramatic. And it was definitely the case with Broadchurch. There was virtually no comic relief [I can think of one scene in the first episode that was sort of funny and that’s pretty much it]. I won’t say that makes it a bad show… but I wouldn’t have minded some lightness here and there. I wonder if the Americans will go down the same road or will add some humour to it [it might make it a very different show with unpredictable results]. We’ll just have to wait and see. The “Who did it better?” post is absolutely coming later. In the meantime… go watch the original.